(BPT) – We know the old saying: when it rains, it pours… and when it pours, it floods. With winter snow storms coming to an end, the threat of flooding increases as the snow begins to melt and the rivers and creeks begin to swell. It’s easy to forget about how powerfully destructive water can be. 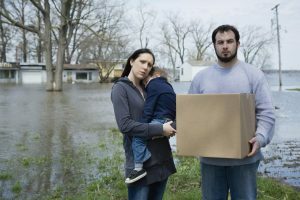 In fact, nine out of 10 natural disasters include flood, making it the number one disaster in the United States according to the National Flood Insurance Program (NFIP). However, only 15 percent of homeowners have flood insurance. From 2006 to 2015, total flood claims cost more than $1.9 billion per year and the average claim was more than $46,000 during that time. For most homeowners, that means looking into flood insurance. But does it make sense for everyone? The Federal Emergency Management Agency found that as many as 20 percent of flood claims come from moderate-to-low risk areas. These are areas in which lenders don’t require the purchase of flood insurance. However, “less likely” doesn’t equal “no risk.” Complete this quick self-survey: “Does it rain where I am?” If the answer is yes, consider flood insurance because it can flood anywhere it rains. This entry was posted in Real Estate on February 22, 2017 by Mike.